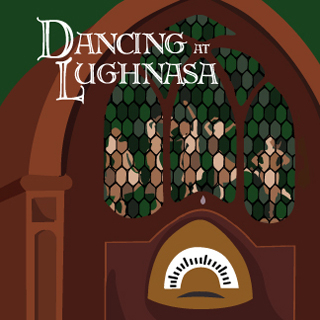 Set in the fictional Irish village of Ballybeg, Ireland, Dancing at Lughnasa is a memory play, told from the perspective of an adult Michael. He recalls one summer he spent at his aunts' home when he was seven years old. The five Mundy sisters, all unmarried, live in a big cottage just outside of the small village. Kate, the eldest, is a schoolteacher; Agnes and Rose knit gloves and help keep house with Maggie and Christine (Michael's mother), who have no income at all. Their older brother, Jack, has also recently returned home. Jack is a Catholic priest, who has lived in a Ugandan leper colony for the last 25 years, working as a missionary. He is suffering from malaria and has trouble remembering many things, including the sisters' names and his English vocabulary. He has also clearly lost his faith and has a deep respect for pagan traditions and beliefs, much to Kate’s distaste. Meanwhile Michael's father, Gerry, pops in and out of his son’ life, keeping Michael and Christina on tenterhooks as to whether he will ever settle down with them. Gerry is charming and completely unreliable.